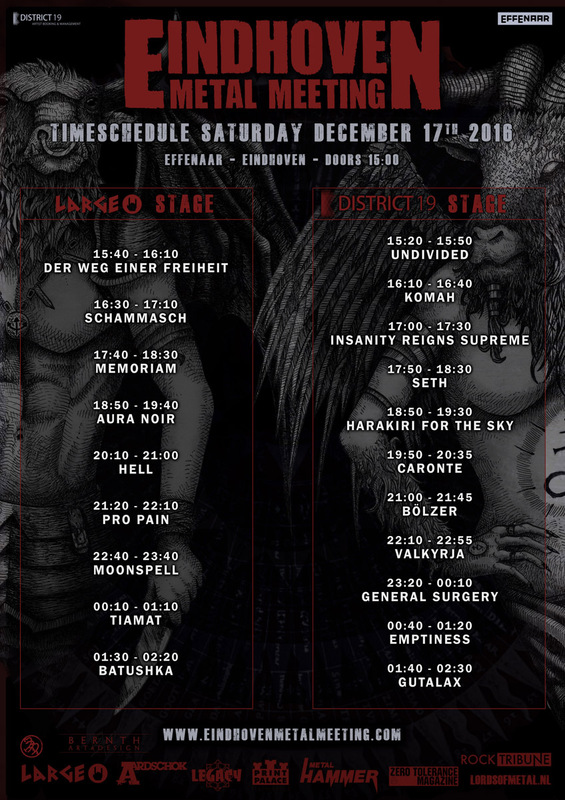 The Eindhoven Metal Meeting organisation is unveiling the time-schedule for this year’s festival. 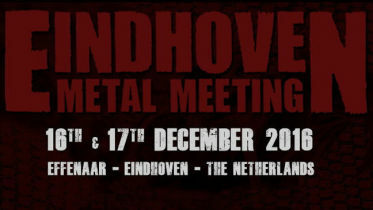 The eighth edition of the annual metal meeting is set to take place December 16 & 17th, 2016 at the reputable Effenaar venue in Eindhoven, The Netherlands. Tickets are selling fast, and are currently still available via the official website. A combi-ticket will cost you €80, a day-ticket €48 (excluding service costs). 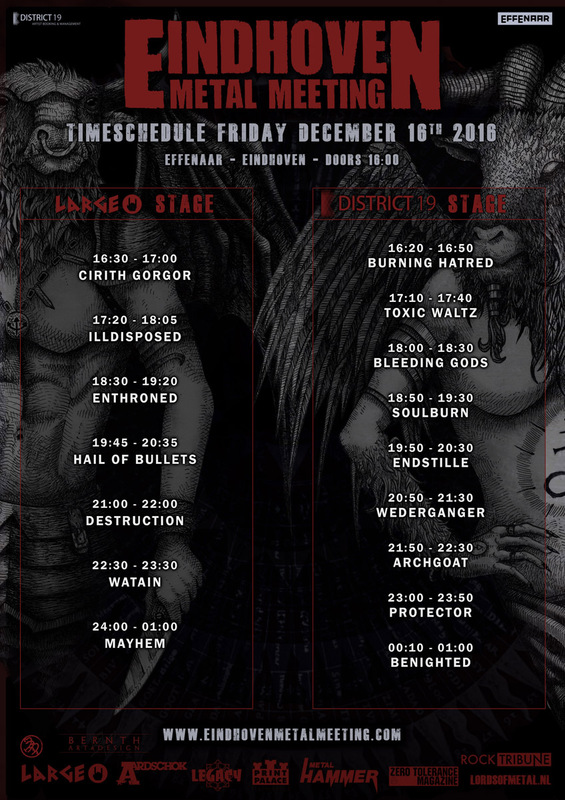 Dynamo (Five minute walk from Effenaar) will be hosting this year’s official after-party again, which will kick off directly after the first festival day on Friday night. 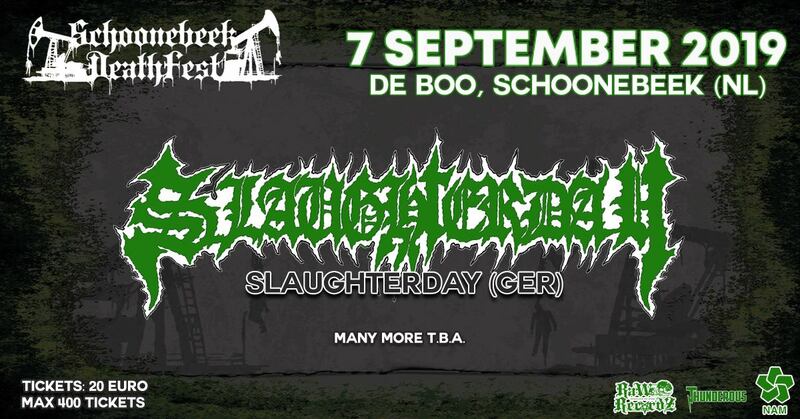 Stormrider will be playing all your favorite metal hits, and entry is free!